This custom sterling silver bracelet is an unusual twist on Religious jewelry, but so precious. 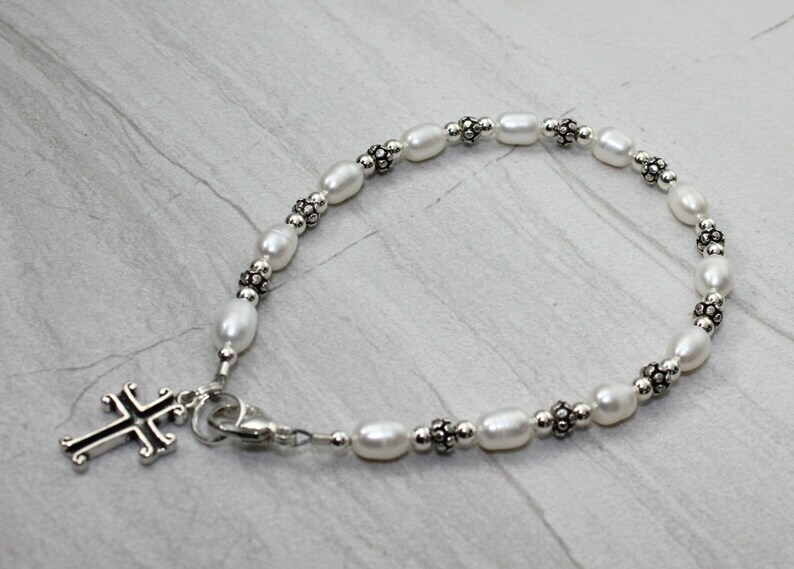 This bracelet is made of freshwater pearls, sterling silver and a wonderfully made silver cross. Shipped with a meaningful card in a beautiful gift box with gold lame ribbon.